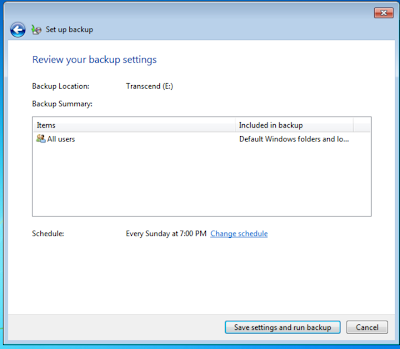 Rydertech: Computer 101: Self Back UP for Windows 7 Continued. 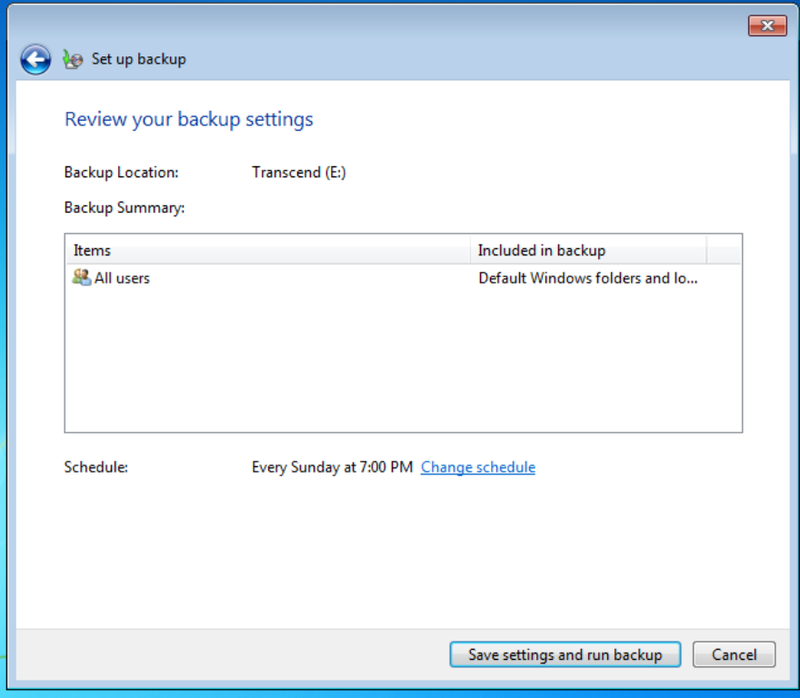 Computer 101: Self Back UP for Windows 7 Continued. It's a good day today for me why, because i am well again although not yet totally but going there. Ive been sick for a whole week. I have not been able to do a lot of things when sick. One of those things is to post the last part of this blog. Now that I'm on my why to recovering my good health status i will be able to do this post. 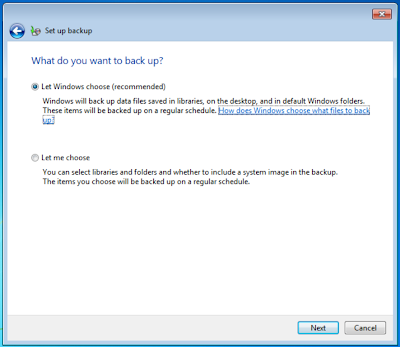 To begin with, in Windows 7 and in previous version of Windows, there is a difference on the back-up process when you get to the actual processing where in you see the process bar actually creating the back-up file for all you files. Now how would it look like. Before we go that look at the picture below. 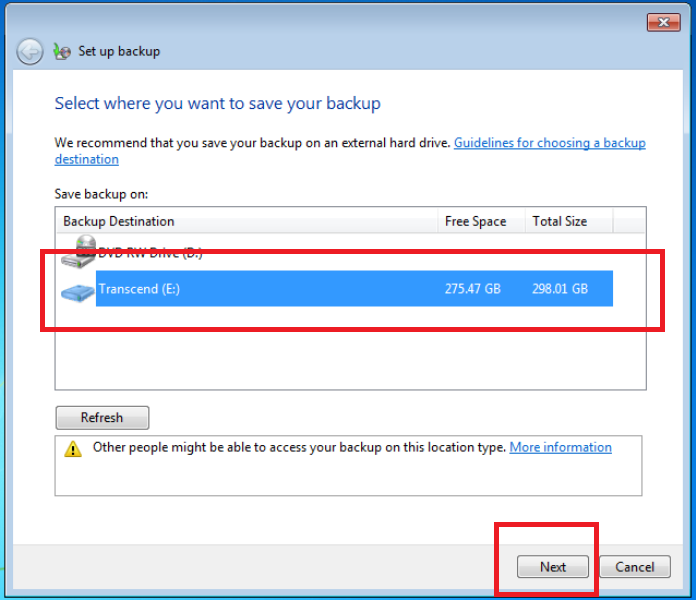 I highlighted that the back-up destination must be selected in order for the for the next button to be enable. I the NEXT button is not click able after selecting the back-up destination then you should choose to select or supply other back up type for a new destination. 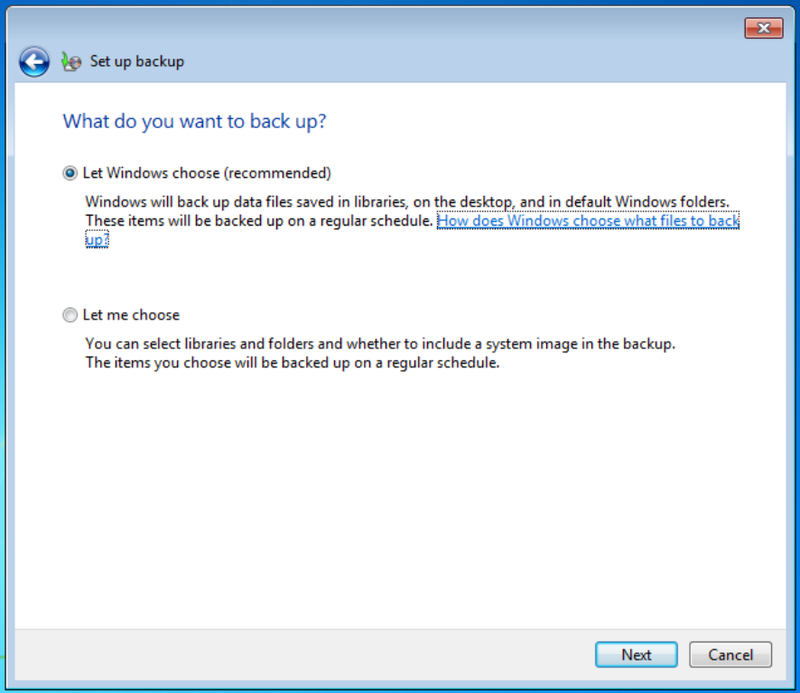 Now press the next button to go to the next step which should look like the picture below for Windows 7 user.In this picture you one will be asked to select a choice of whose going to do the selecting of files for the back-up. Again this brings us back to the earlier post that said prepare your all your files first organize them so that it will be easier locating them if there are all in a single location. In the picture below one have two choices that's either let the system choose the file to back-up or let the user do the selecting. If you are not sure if all your files can be located in a single folder, then choose the first option which is to let the system do file selection process. Okay let say you choose the first option then press the next button to go to the next part. Notice that the picture below tell us, this is your backup setting, review it first before starting the actual back-up process. Yup folks make sure all your setting is correct. 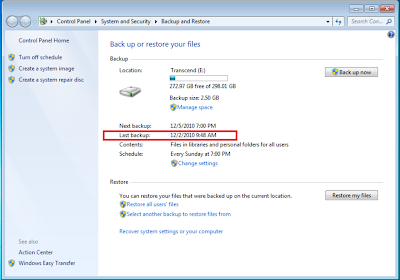 That means the destination folder and the items to be back-up are all there. If all things are in there proper places then just press the button labeled SAVE SETTING and RUN BACKUP to begin the process. Now after pressing that button the picture below will appear. 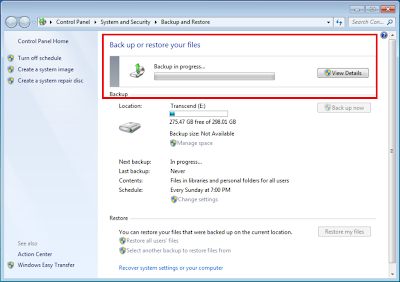 The picture below will appear, yup the backup process windows and as one can see the backup process has started. 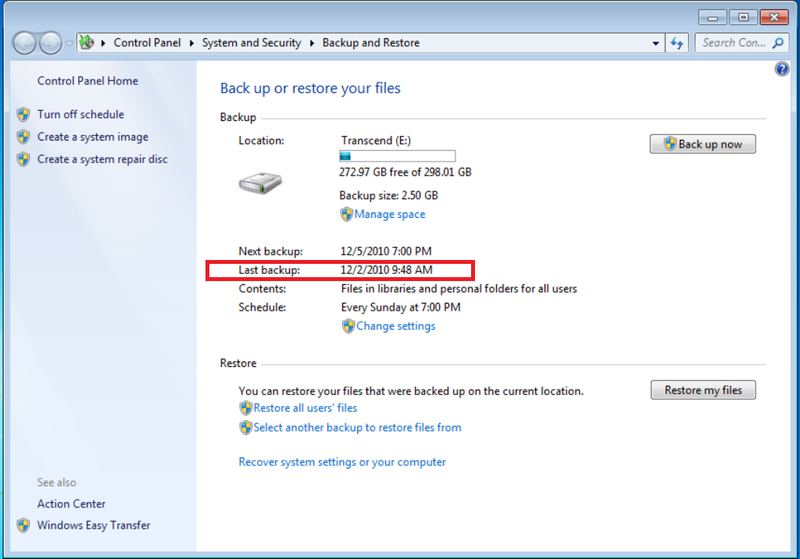 Now on this part the time it take to backup the selected items will overall determined the time duration for the backup to be completed. If you have a very very large amount of files to backup and this is your first time to do it then do something else while you wait because it would take quite some time to finish the process. As you can see the green bar is still on the beginning stage as one observe the process it will get longer and longer until it fill the entire space alloted to it. In this stage just sit back and relax or do other things while we wait for the process to finish. Now lets say that the backup process is finish, then the next picture will appear. 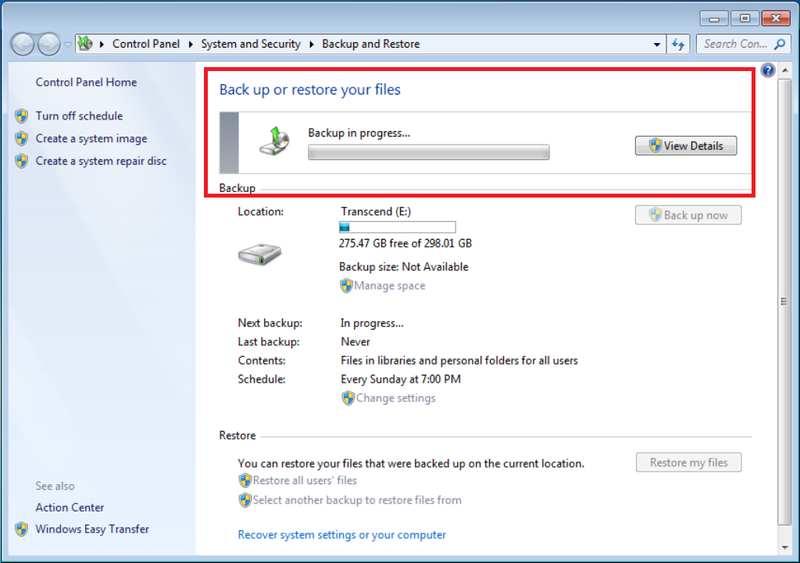 The backup process bar is gone and if one observe it right, you'll see that the last backup process has been log or recorded as highlighted by the red rectangle. Okay now that the backup process is done, how do one verify if the back-up files is created or all my files were back-up properly. Well the ways to do that, one simple way is to go to your destination folder and check for the back up files. Now if one is the backup destination then please look at the picture below. There are two highlighted parts on this. First the location folder and second the backup file itself which is represented the icon below highlighted by the red rectangle. To verify if this is the backup files, the just double click the icon and it will activate to ask three questioned. But if your satisfied that this is the correct one, then your done. you have correctly completed your first back-up process. I quick note this is for Windows 7 user the actual process for the older version of windows will on my next post. Hopefully that tomorrow or the next day.